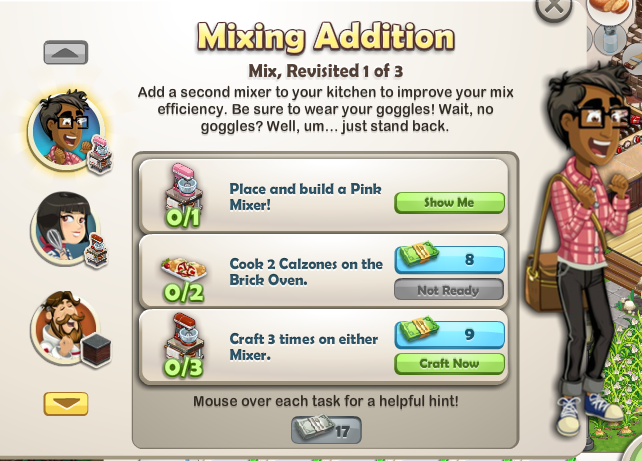 So many people were having trouble getting their Pink Mixer in ChefVille. Zynga just posted another link on the fan page and the problem is likely to be fixed now. Now if you can't find it, click on the guy with glasses on the left side of your screen. It will bring you to the goal Mixing Addition. 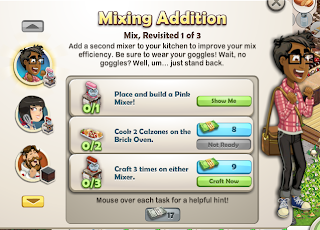 The first task will read "Place and build a Pink Mixer". Go to the green button that says "Show Me". It will take you directly to where the Pink Mixer is and you can place it down and start building it.